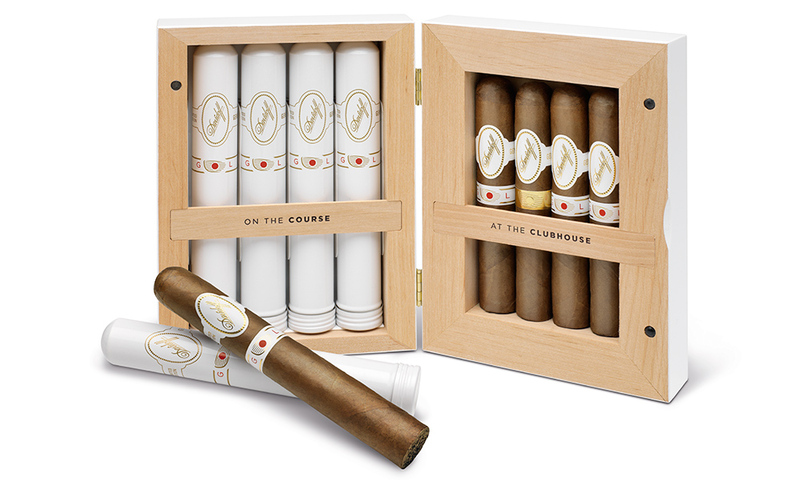 Davidoff Golf Masters Edition 2015 | Chicago's Pipe, Cigar & Tobacco Store | Iwan Ries & Co.
Davidoff launches its Golf Limited Masters Edition 2015: the ideal cigars to enjoy and share with friends on a golf course or at the clubhouse. The edition is limited to 7’500 boxes and will be available to cigar and golf aficionados worldwide starting in April 2015. The new Davidoff Golf Limited Masters Edition has been created by Davidoff Masterblenders with moments of shared golf pleasures in mind. 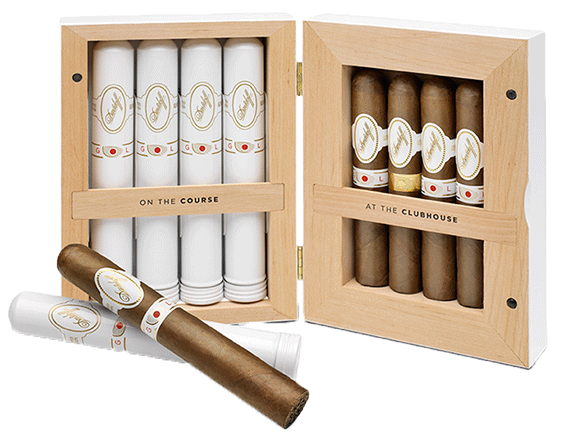 The two formats of the Limited Edition - Toro and Robusto - are specifically designed for the course and the clubhouse. Both formats are crafted with eight-year-old typical Dominican filler tobaccos: Piloto Volado, San Vicente Visus, Piloto Visus Hybrid and Corojo/Olor Seco. These rare and exclusive filler tobaccos together with the Ecuador Connecticut wrapper and the Dominican Criollo binder enable an elegant enjoyment and deliver pronounced notes of wood, milk coffee and roasted almonds followed by a creamy aftertaste. They share the same blend and allow the aficionado to enjoy the cigars’ intensive but balanced and nuanced taste over each round of Golf or at the clubhouse. The beautifully crafted cigar box, finished in a white piano lacquer, opens like a book. It boasts 4 Toros and 4 Robustos. Moreover, in order to highlight this very special Davidoff Golf Limited Masters Edition, all Toros and three out of the four Robustos feature an exclusive “Golf” second ring. The second ring in gold on the last Robusto serves to reward and honor the winner. This Limited Edition is the ideal gift or collector item.